Freeman Ryan Design is a multi-disciplinary company specialising in design and creative direction for the museum, heritage and cultural tourism industries. We have extensive experience covering the complete exhibition development process, from master planning and content strategy to exhibition design, development and implementation, and have delivered successful projects throughout Australia and around the world, from major museums and visitor centres through to temporary installations and travelling exhibitions. The team at FRD comprises highly qualified and experienced creative and production professionals including staff trained in architecture, interior and graphic designers, writers, curators, and researchers, multimedia producers and interactive and experiential designers. Our work focuses on creating complete visitor experiences, integrating thoughtful communication and engaging story telling with innovative technologies and visually effective, user-friendly design. FRD underpins its work with extensive knowledge of the architectural, logistical and operational requirements for completing successful and sustainable projects. The team at FRD comprises highly qualified and experienced creative and production professionals including staff trained in architecture, interior and graphic designers, writers, curators, and researchers, multimedia producers and interactive and experiential designers. Our work focuses on creating complete visitor experiences, integrating thoughtful communication and engaging story telling with innovative technologies and visually effective, user-friendly design. FRD underpins its work with extensive knowledge of the architectural, logistical and operational requirements for completing successful and sustainable projects. Our work focuses on creating complete visitor experiences, integrating thoughtful communication and engaging story telling with innovative technologies and visually effective, user-friendly design. 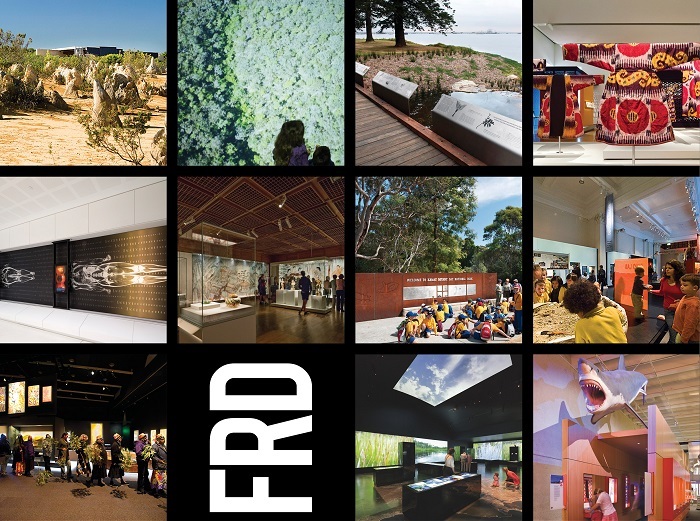 FRD underpins its work with extensive knowledge of the architectural, logistical and operational requirements for completing successful and sustainable projects.